Azure Blob Storage makes it extremely easy for Xamarin developers to implement Cloud Storage code in your cross-platform apps, allowing us to share 100% code across iOS, Android, and Windows. Appreciate the sample. Is there any chance the Readme could be a little bit more detailed. The Blog doesn't seem to align to the code. e.g. : I am struggling to find where I insert my Connection String. Sure! Which step in the Readme is causing the trouble? The Connection String goes in the Application Settings under "Connection Strings". Brandon, your Blog "blog.xamarin.com/xamarin-plus-azure-blob-cloud-storage/" looks nice but leaving things like the using statements out (and maybe other things) makes it a little harder for newbies like me. Is there a GitHub for your blob example? I like the video with James and your serverless approach is great, but for me I need to build up to that, and not finding source or having complete code in the blog listing is a bit of a downer. If I'm missing something please point it out to me! Thanks. I'll add this link to the blog post too! Hi Brandon its very useful video and tutorial, really appreciate your work, by the way i have few concerns , since i am quit new to xamarin, how do i have to setup the sql database to sync with the blob-storage because i have created blob storage already and its up and running , even i can take photos from phone and it instantly update to my blob-storage but not text, so if i use your sample project can you tell me how do you sync the blob-storage with the sql database and how does the function takes place updating the database details, once again thank you and i will be waiting for your favorable response . Hi @PandukaWeerasekara! Is your question "How to create a SQL Database in Azure"? but this code doesn't do any thing i mean it doesn't insert data to the database , so having bit trouble of inserting to the database first,( if i can insert only i can retrieve data right?? 3. In the Application Settings, scroll down to "Connection Strings"
error (ResourceNotFound): The Resource 'Microsoft.Storage/storageAccounts/wpanduka' under resource group 'AcountsGroup' was not found. Thanks for the sample project, really useful. My question relates to making private blobs. Set the Public access level to Blob. 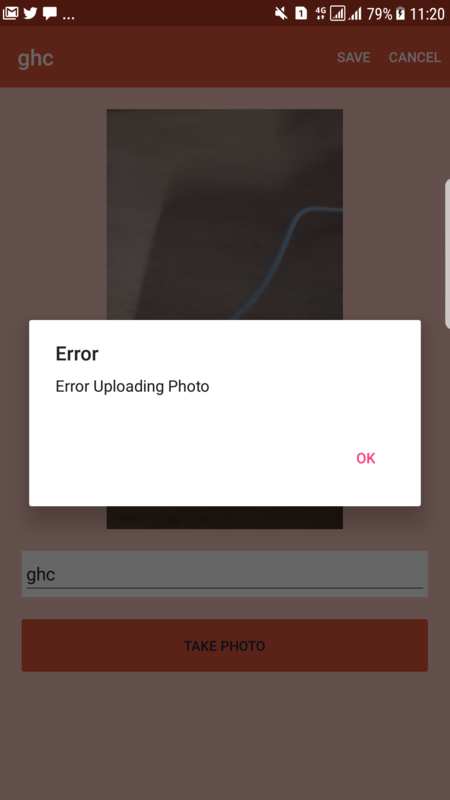 If I set the blob to Private then the image control can not download the image due to not having a blob connection string. What would the preferred methods be to pass credentials to retrieve a blob image?